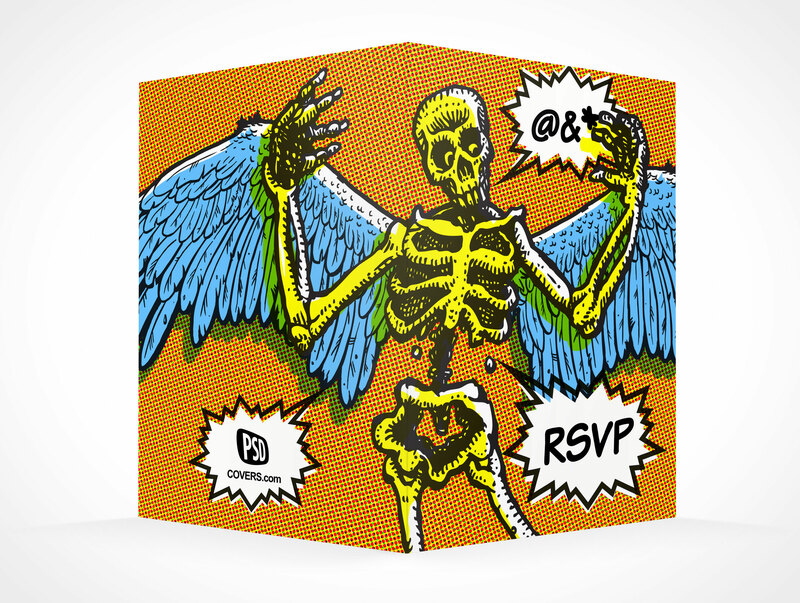 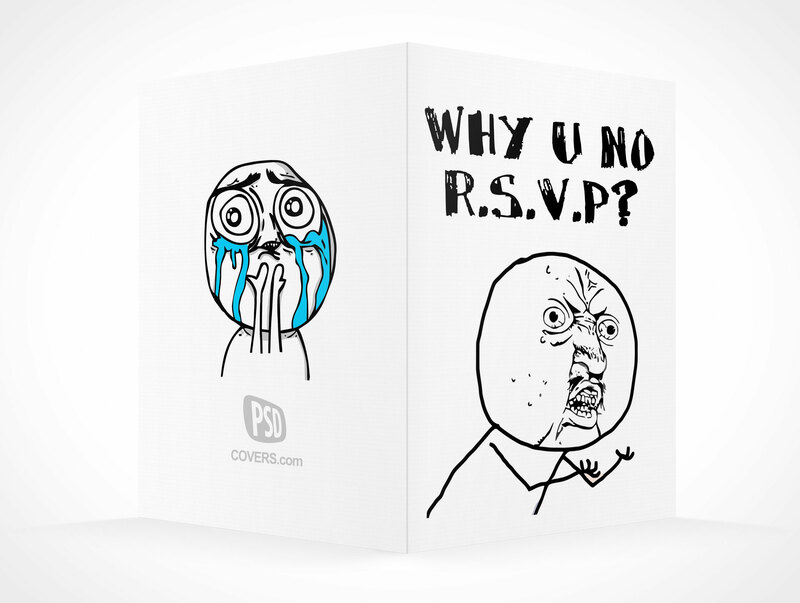 RSVPCARD008 is the rear of a 7×5 rsvp card folded in half — measures 3.5×5 per panel. 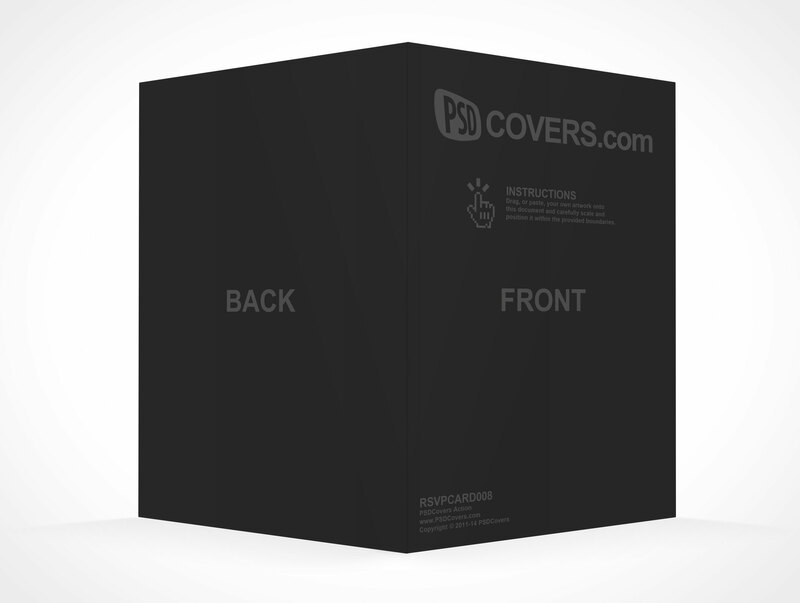 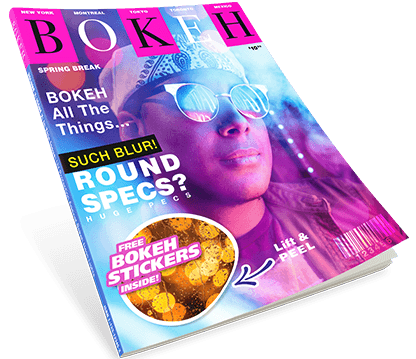 This PSD Mockup places your artwork in portrait orientation with the rear panels semi extended outward. 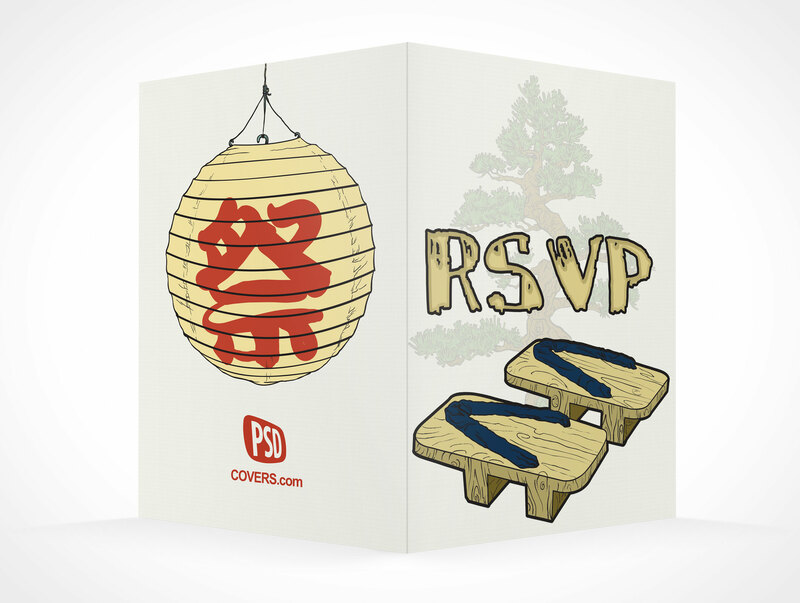 The interior of the rsvp card is not visible in this rendering. 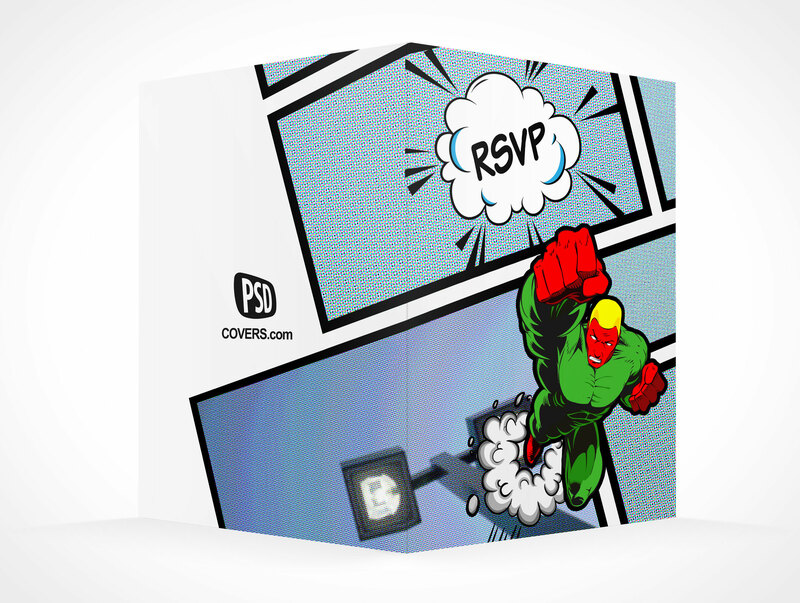 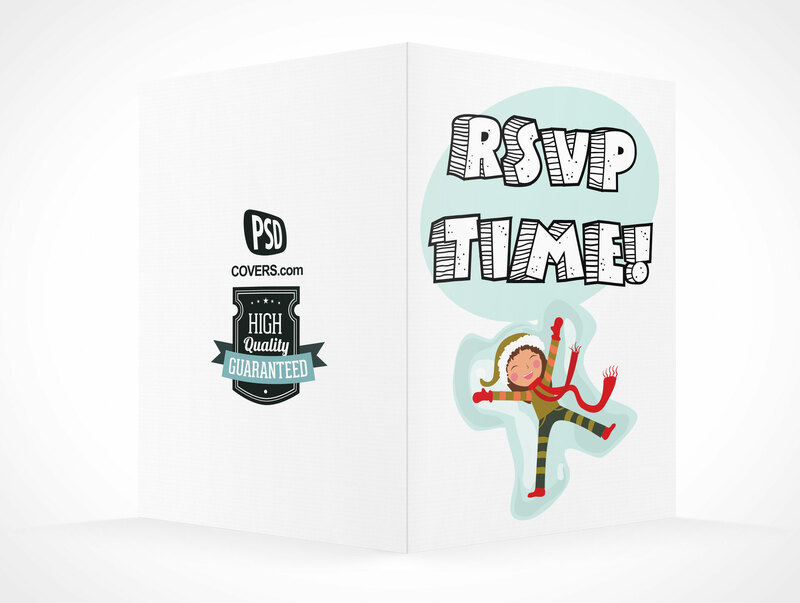 The rsvp Actions have the same aspect ratio used by the Greeting cards and can also be used to render smaller greeting cards. 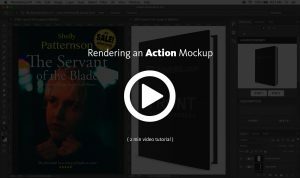 Use the resulting Photoshop document to manipulate shadows and highlights to suit your needs.